Imagine quiet, luxurious country living. 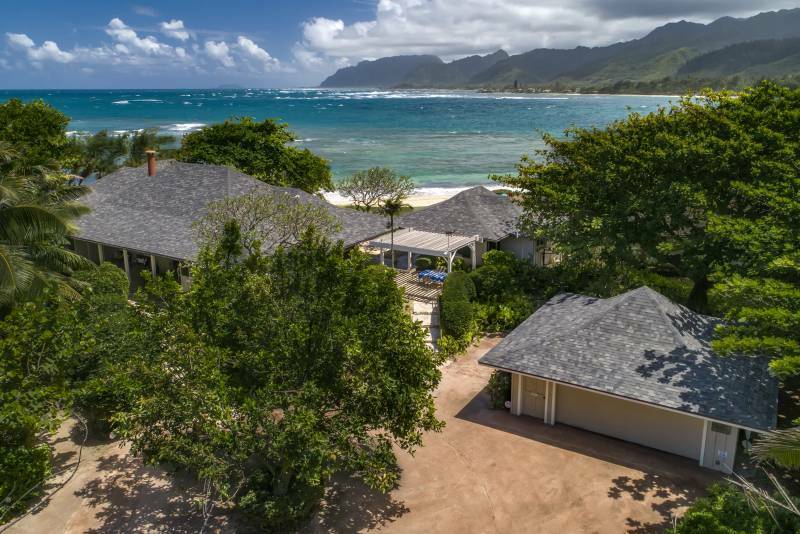 Born with the idea of tranquility and ohana, this beautiful property boasts unparalleled views down the windward coast of Oahu. 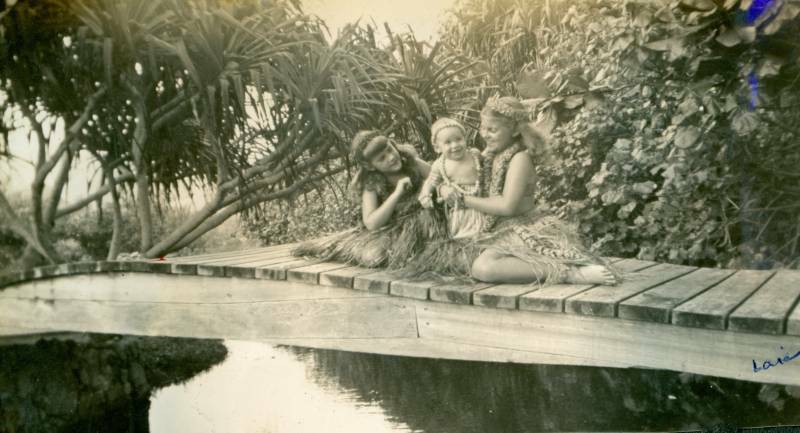 “Muliwai” has been nurtured and enjoyed by the same family for 5 generations, a family whose ancestors sailed to Hawaii from Scotland, via the South Pacific, arriving in the 1840s. 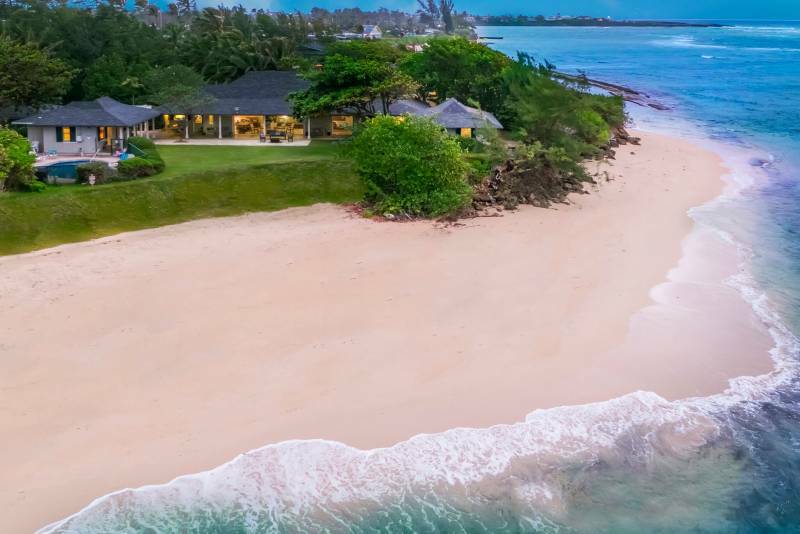 Muliwai, meaning “estuary” or “enclosed water,” is named for the stream that meanders through the property, traveling from the mountains to the ocean. Rounding a bend of Laie, you must pay close attention to find the recessed coral gates hidden behind lush tropical landscaping. The impressive driveway winds along the stream, passing the footbridge that leads to the paddle tennis court. Arriving at the flawlessly maintained home, you feel the serenity and attention to detail of this legacy property. The 5 bedroom, 5 and a half bath design, with over 3200 square feet of living space, offers an expansive indoor-outdoor floor plan. When you enter the property, you are walking into history. Una Craig married Alex Walker in 1920, after meeting while both surfing in Waikiki. Alex eventually served as the President and CEO of American Factors, Ltd. (later called AMFAC, Inc.) and Una pursued an active life of community service. 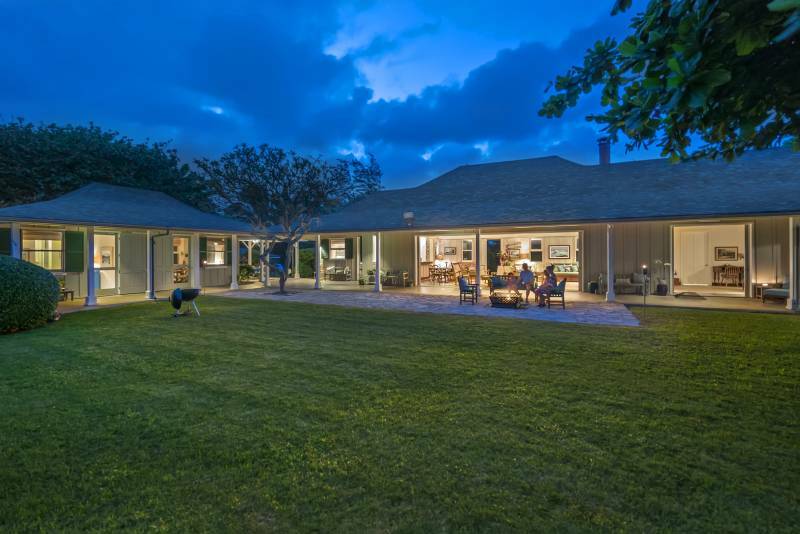 In the late 1930s, the couple decided to seek a country home where they could escape the hustle and bustle of Honolulu and entertain in a more relaxed fashion than they did in “town”. After an extensive search for the perfect piece of land, Una purchased this secluded property in 1939 with her own money. 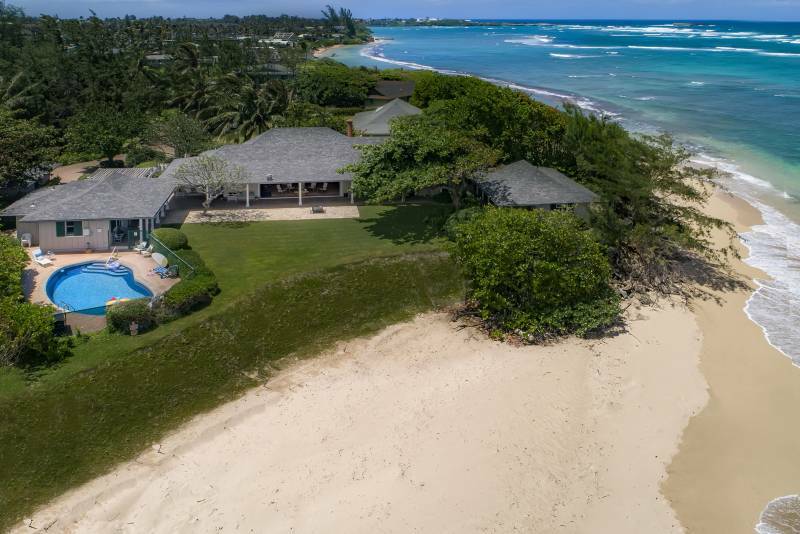 The parcel was five acres and the house and nearby cottage were designed by well-known Hawaii architect, Burt Ives. 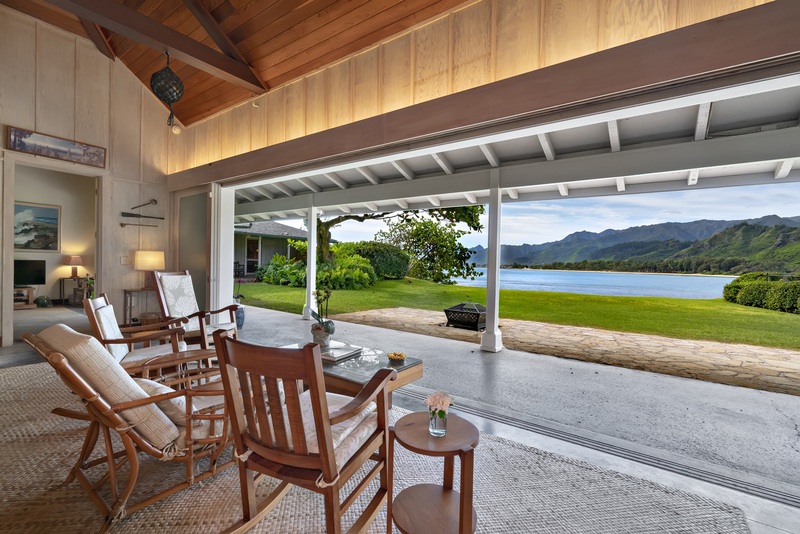 Una was active in the design process, incorporating elements of traditional Hawaiian architecture. She supervised the construction in 1939-1940, ensuring the creation of an iconic paradise. 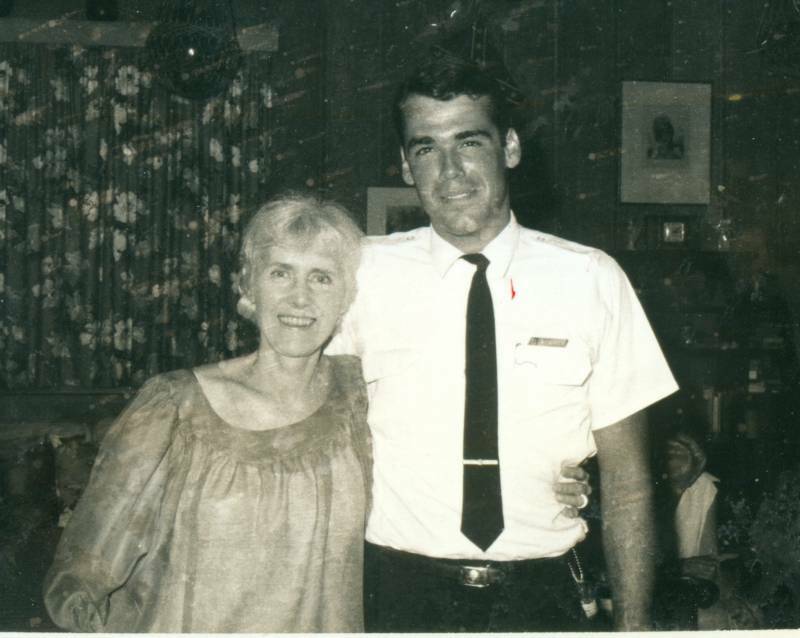 During this period, Alex Walker represented the Hawaiian Sugar Planters’ Association as a lobbyist, spending a great deal of time in Washington, D.C. There the Walkers met many of the country’s leading figures. 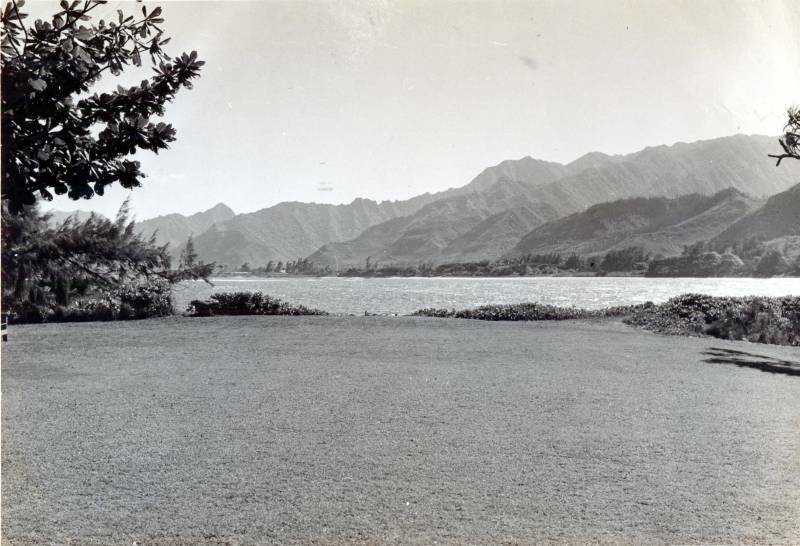 When back home on O’ahu, they entertained frequently both at their Nuuanu estate and at Muliwai. For 3 decades they hosted dignitaries, leading world figures, and royalty at their two homes. Many stayed at Muliwai on weekends and even more would come for lunch, and to take in the breathtaking views. 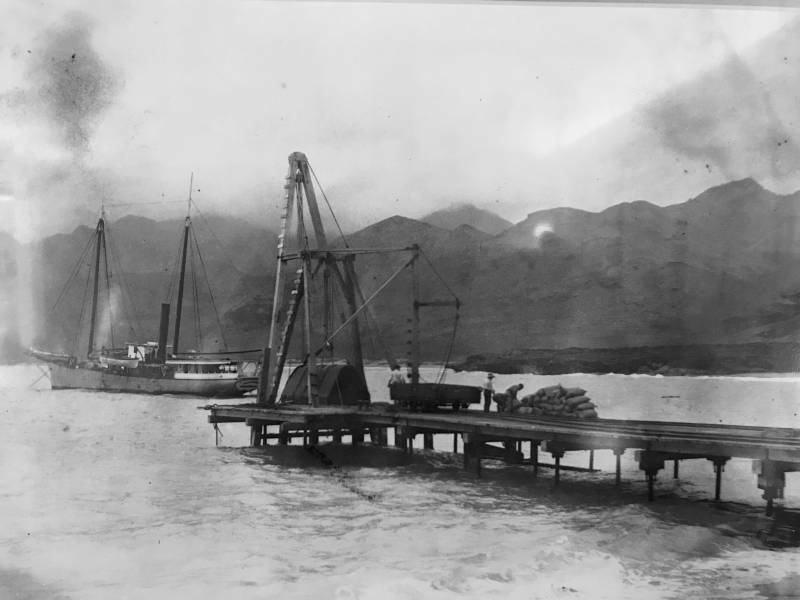 Guests were intrigued by the black pier rising from the ocean waves, on which rail cars carried cane from the Kahuku Sugar Plantation to schooners off shore. During and after the Second World War, the leaders of the Pacific Command often gathered at Muliwai. 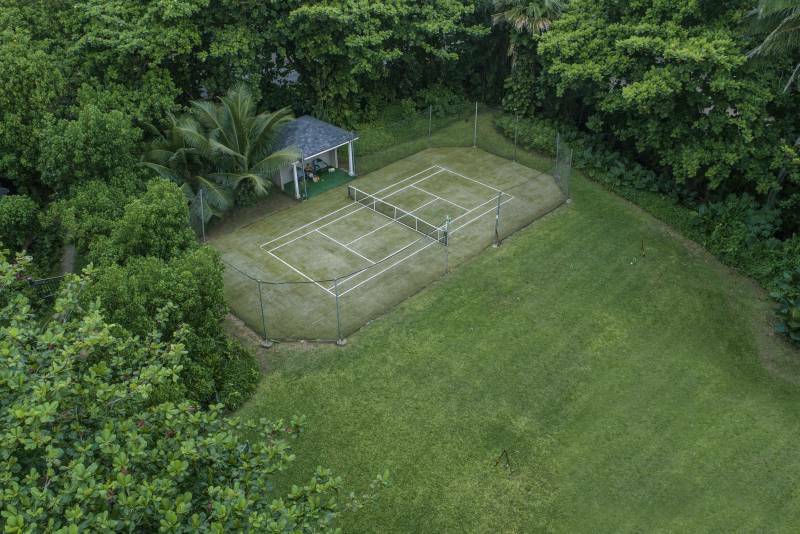 Admiral Chester Nimitz, among others, frequently visited Muliwai to enjoy the Walkers’ relaxed hospitality, swimming or playing golf play on a 9-hole pitch and putt course designed by Mr. Walker and Admiral Radford. Guests also spent time playing endless games of cards and canoeing in the Muliwai stream. 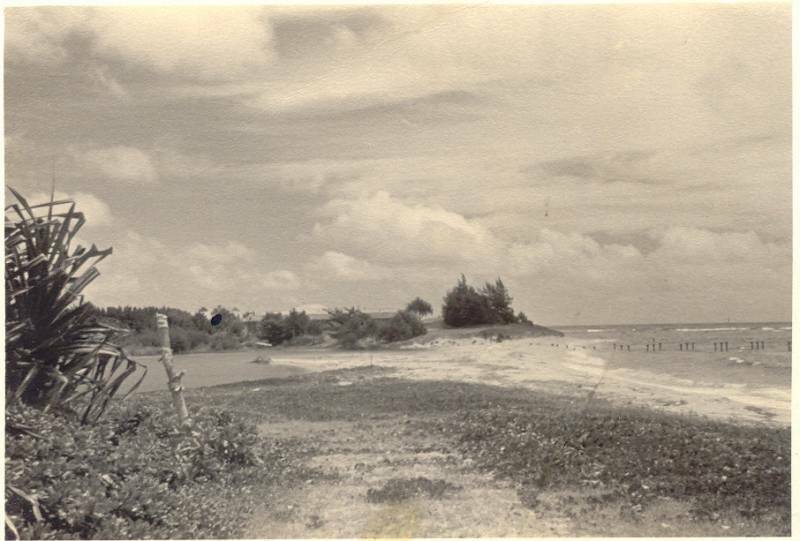 In addition to dignitaries, Muliwai was often the site of 3 and 4 generation family weekends and parties, with the extended family playing games outdoors from dawn until dark. Over time, the property was converted into three neighboring parcels—a family compound—for the Walkers’ three children. 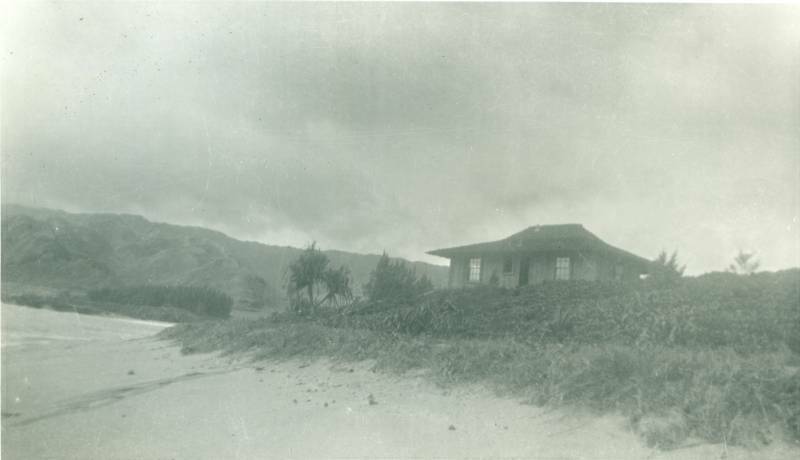 The center parcel of 1.3 acres, containing the 1940 original cottage, served in 1990 as the cornerstone for a modern interpretation by Honolulu architect Philip K. White of the classic original design. 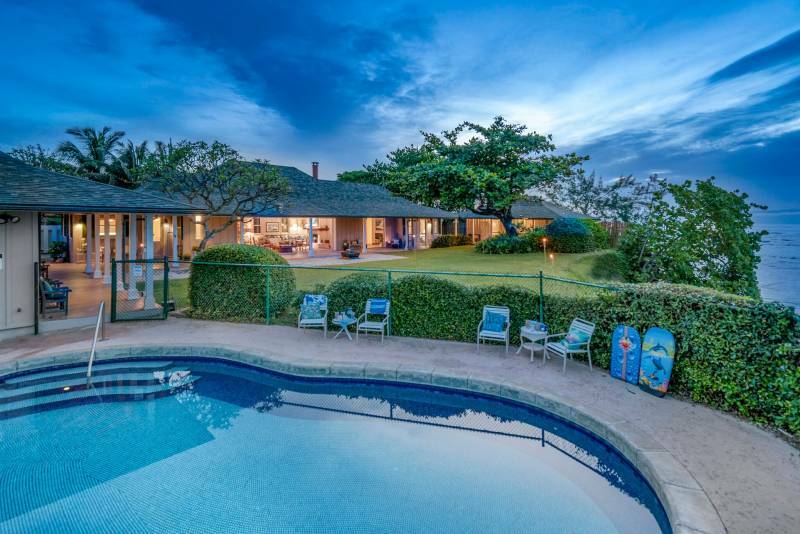 The resulting U-shaped structure faces the ocean and the Ko`olau Mountains and incorporates the elements of Hawaiian architecture in the original house. The front door of today’s main home enters the great room, a fabulous space for entertaining. The room has vaulted ceilings, board and batten siding, a 24 foot wide door, and polished concrete floors, beyond which are the great lawn, the ocean, and the mountains. Together these create the sensation of walking through elegance and into a living painting. Get lost in thought in the classic rocking chairs with both ocean and mountain views. 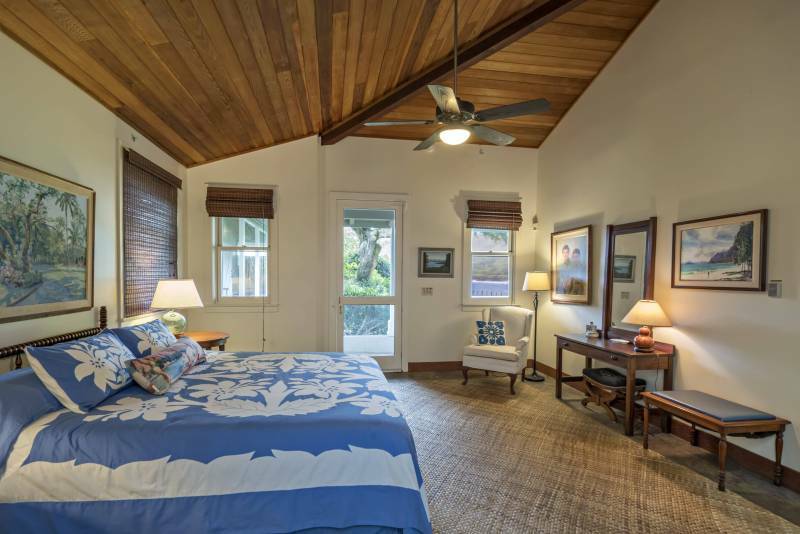 Off the great room is a quiet sitting room with the deluxe master suite beyond. Attached to the primary living area are the two wings, one with the original two-bedroom, one-bath cottage, the other with two bedrooms and two baths. The ocean-side swimming pool off the second cottage is an idyllic setting to take in the afternoon sun. 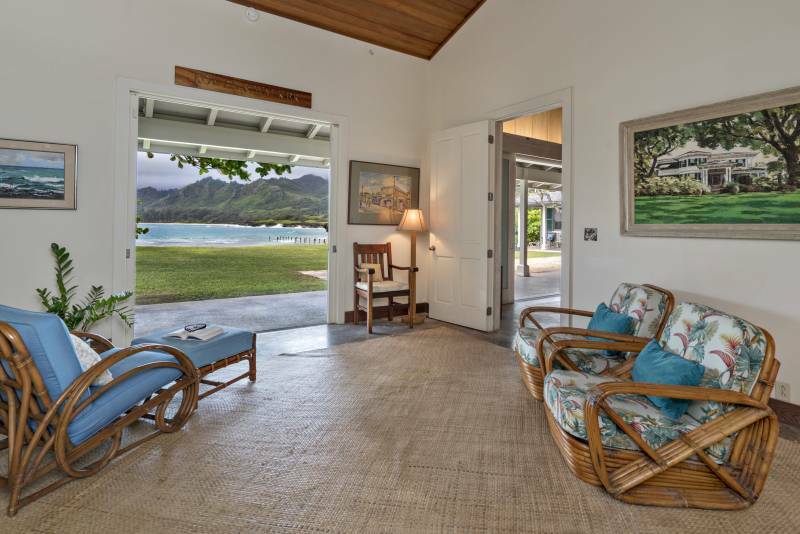 This house too has been filled with the love and aloha of 4 generations, cherishing their time together at Muliwai. Imagine your home: beauty, serenity, history, variety, and privacy. Less than an hour from Honolulu and 30 minutes from the most famous surfing beaches in the world. Surrounded by a timeless, unchanging view of the ocean and majestic mountains. A peaceful place as unique as it is elegant. Leane Darling is a REALTOR-Associate with Hawai'i Life. You can email me at	LeaneDarling@HawaiiLife.com	or via phone at (808) 366-4996.